Why do we make New Years resolutions in the first place? Well, as a society, we tend to like a certain amount of ceremony when it comes to taking on a challenge. We like fresh starts, clean slates, and setting high expectations. But for the resolution to persist past the pomp and circumstance, we need to be proactive. We need to have a way to fight the old habits from creeping back in. We need to set the stage for actively creating new habits. Science tells us that all habits (good or bad) share the same characteristics: They are triggered by a cue, they are learned, they are performed automatically, and they are hard to break. Creating new habits requires the same steps that formed those old habits in the first place. We need to change the cue, learn the new behavior, rehearse it until it is automatic, and then reevaluate our progress. Many people struggling with keeping up with a resolution will long for the elusive willpower they believe keep others on track. It turns out, however, that while individuals with more willpower can use that skill to accomplish their goals, changing behavior requires a lot more than resisting the old behavior. The attribute shared by those successful in changing their behaviors - those with and those without strong willpower - is the active creation of new habits. With handwashing in healthcare facilities, anyone can share their stories - and their data - of failed attempts at improving hand hygiene compliance. 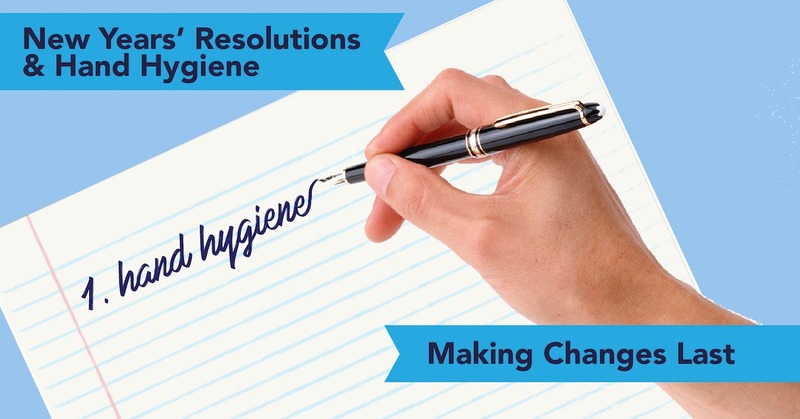 Why does hand hygiene compliance start to go down as soon as an intervention program is over? Why do regular hand washers at work tend to also be regular hand washers at home? What's going on here? It's habit. Neuroscience research has captured the actual brain changes that occur during the formation of a new habit. Imaging shows how the brain connections become stronger and more efficient each time the habit is repeated. In order to teach the brain a new habit, the individual has to actively avoid the old habit while practicing the new habit. In the case of hand hygiene, the healthcare workers who want to improve their compliance rates need to actively seek out cues to help them remember. They need to actively practice seeing the cue and washing their hands. They need to identify their current habits that interfere with compliance and actively avoid those triggers. For each person, the path may be different, but the need for a new habit is universal. One cue that seems to work more than others has been characterized as "peer pressure," but really comes down to having another healthcare worker present in the room. Perhaps the presence of the other healthcare worker proves to be an effective trigger to remember (it worked better than offering a cash reward!). Of course, there are certainly physical and organizational obstacles that inhibit hand hygiene. Healthcare workers will continue to be pressed for time, hand sanitizer bottles will continue to sometimes be empty or unavailable, and we will continue to be humans who make mistakes. But the conscious effort to create new habits can get us a good way towards 100% compliance.